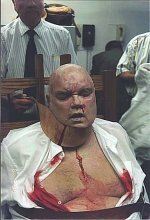 On this date in 1999, America’s obesity epidemic met Florida’s death penalty politics in the ugly electrocution of Allen Lee “Tiny” Davis. The reader will discern that Tiny earned his nickname ironically. Reportedly 159 kg (350 pounds) at his death, he’d put his ample heft to work bludgeoning a pregnant mother of two beyond recognition with a revolver handle back in 1982 … and then shooting to death the now-motherless two. As his appeals meandered through the courts, Davis got fatter — and got high blood pressure, arthritis, hypertension and a wheelchair. Meanwhile, the death penalty was meandering its own way across the weird political chessboard of the Sunshine State. For the American death penalty nowadays, it’s Texas and then everyone else … but time was that Florida was the capital of capital punishment. It conducted the first “modern” involuntary execution in 1979. It had carried out three executions before anyone else had more than one. And when the the drip-drip-drip pace of one or two execution nationwide per year in the early 1980’s finally burst into a torrent, Florida led the way with eight of the 21 executions in 1984. Not until late in 1986 did Texas overtake Florida in the body count sweepstakes. All that time, Florida was happily using its vintage electric chair, Old Sparky (one of several electric chairs with that moniker), built in 1923 of 100% oak wood and prison labor. And the more the chair’s quasi-medieval ickiness drove other states to lethal injection, the more Floridians cherished electrocution. Law-and-order Tampa mayor Bob Martinez won the governorship in 1986 on the promise that “Florida’s electric bill will go up.” There was a high-profile botch in 1990, and another in 1997 — flames shooting from the inmates’ heads. What was the state’s Attorney General going to do about it? 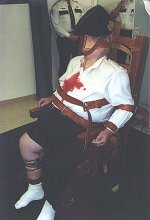 “People who wish to commit murder, they’d better not do it in the state of Florida because we may have a problem with the electric chair.” Under pressure to move to lethal injection — the chair’s unsightly malfunctions were spawning legal and public relations nightmares that were gumming up the gears — the legislature voted nearly unanimously to keep Old Sparky. And then along came a giant. After three-quarters of a century and 266 jobs, Old Sparky was “falling apart” … and that was going to be a problem for a man of Davis’ carriage. The killer’s lawyers argued that Davis was so fat he couldn’t conduct electricity efficiently and would be slowly cooked to death. According to Slate, Florida authorities were nervous that he’d break the chair during his electrocution and send a disconnected live cable scything into someone else in the room. And it worked, in that it killed Tiny. 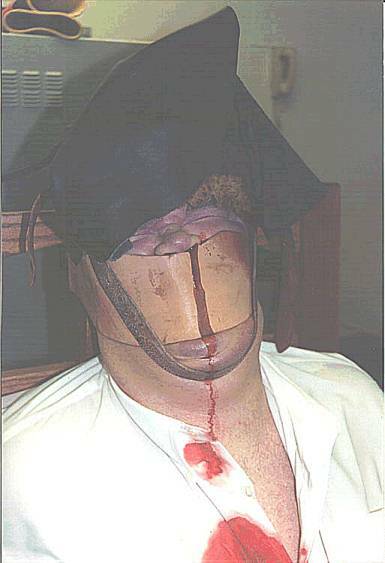 But what a mess — especially when an ensuing Florida Supreme Court opinion once again upheld the constitutionality of electrocution, and a dissenting judge attached the photos on this page to his opinions. Naturally, they became a grisly Internet sensation. Old Sparky’s custom-built successor would only manage this single execution before Florida finally got on the lethal injection bandgurney. Or at least, it’s only managed one so far. 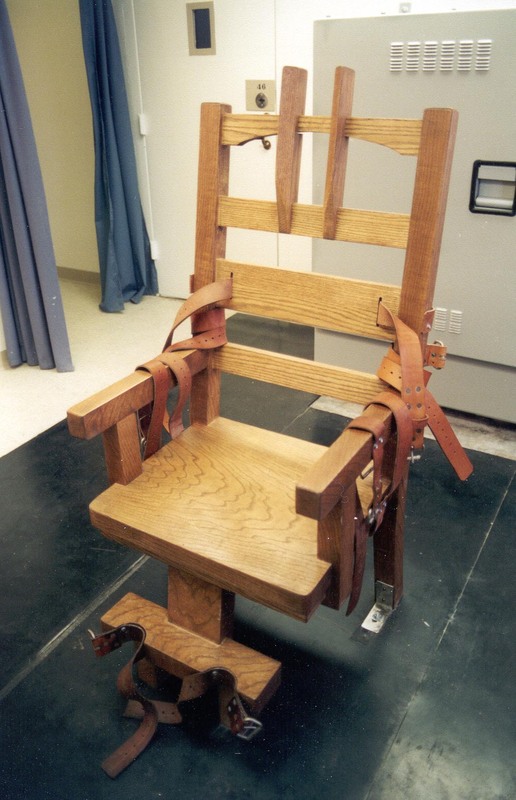 Old electric chairs don’t die, they just fade away … and in Florida, Tiny Davis’s chair remains available for condemned prisoners who choose it. Since this date in 1999, none have.